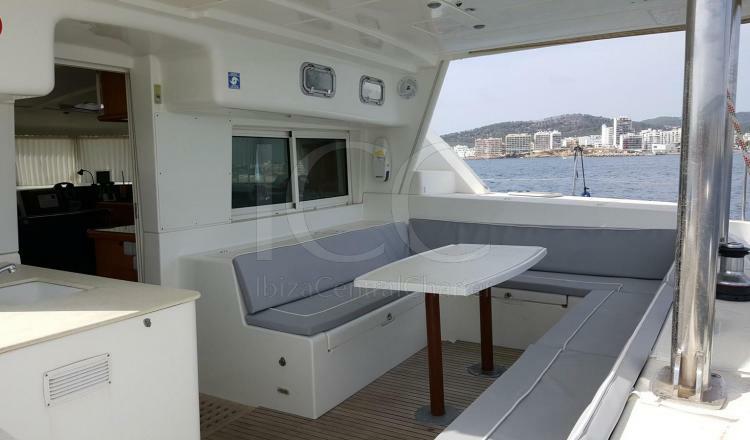 The OCEAN BLUE is a catamaran of 12 meters with capacity for up to 11 people perfect to discover the corners of the islands of Ibiza and Formentera. 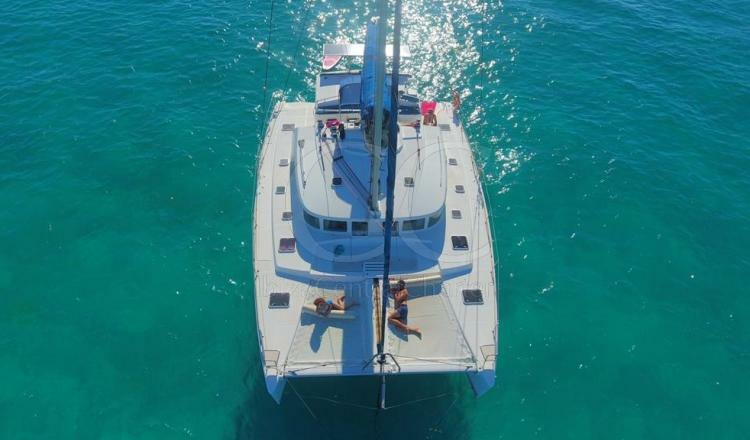 His generous sleeve for a boat of more than 13 meters with high and clear deck offers this Lagoon 400 a surprising habitability, comparable to that of a boat with a longer length. Its large lounge and spacious interior cabins that allow the entry of light, means that it is a boat to navigate and live. 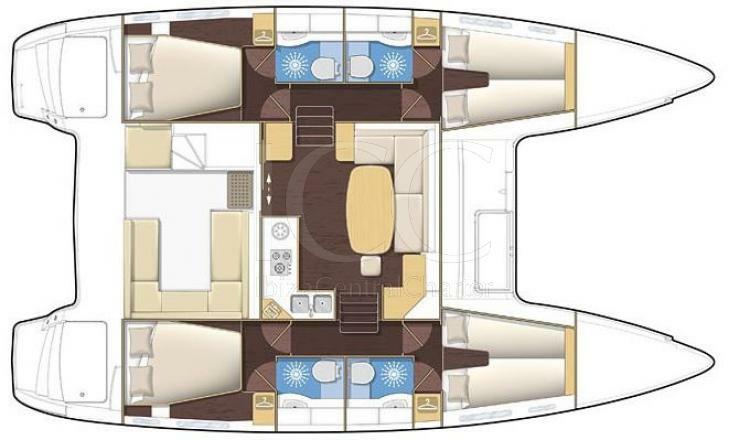 It has 4 double cabins plus two additional individual cabins in the forepeaks for the crew. 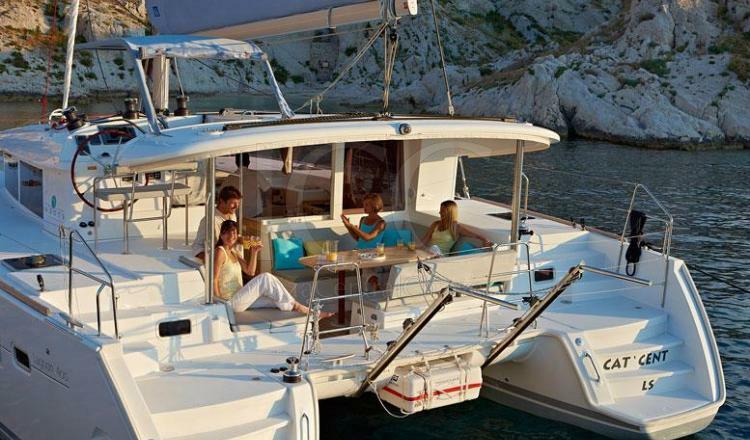 In addition, its 4 bathrooms give that touch of privacy that is important after spending several days on the boat. in the outdoor area it has a solarium and sofas ideal for relaxing and sunbathing. It has extraordinary qualities of navigation, which allow the boat to start quickly with a small breeze and navigate in difficult sea conditions with total safety. It also has a comfort pack that includes sheets, blankets, towels, final cleaning, auxiliary pneumatics + outboard motor.